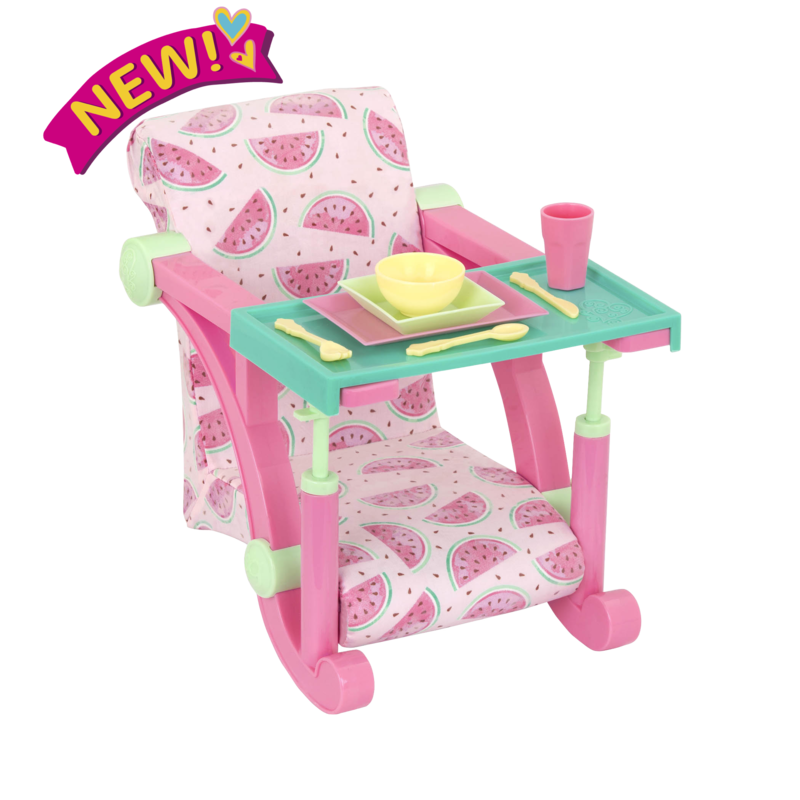 https://s3-ca-central-1.amazonaws.com/media.ogdolls/20181101165231/BD37461_NEW_Farmers_Market_Set.png Category: Fun and Adventure. 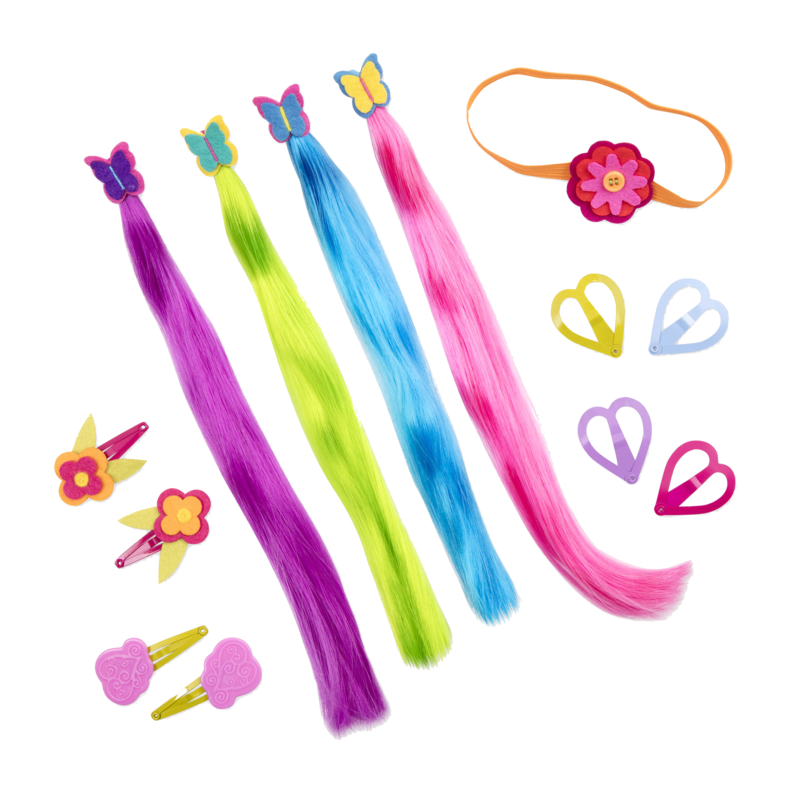 Give your dolls fresh farmer's market fun with this accessory set for 18-inch dolls! Come taste the freshness of our harvest! 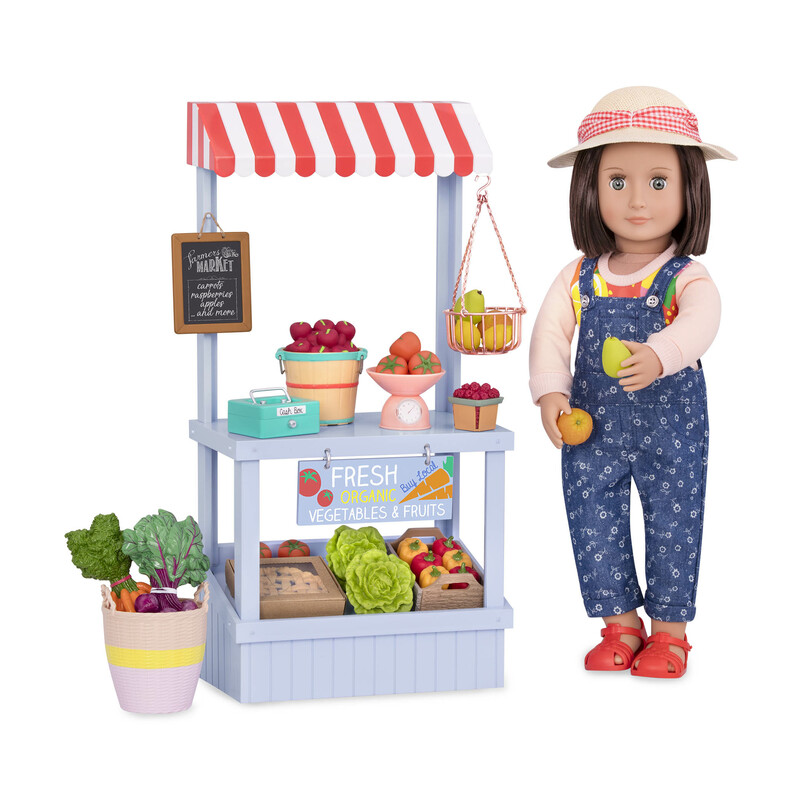 It’s market day and our Generation has all the ingredients for delicious fun with the Deluxe Farmer’s Market Set! Because we are an extraordinary generation. We’re super-fast runners and treasure hunters, magicians and mathematicians. But most of all, we’re dreamers. We spend our waking hours raising funds to protect rain forests, teaching little sisters how to build tents out of blankets and tiptoeing down the stairs past bedtime for one last sip of water. This is our time. This is our story. A tisket, a tasket, there’s a lot of great food in this basket! Set up your market stall so that customers can see all of your beautiful garden-fresh produce on display. Use the real chalk to advertise your daily specials, and keep track of your earnings in the cash box. Lemons and tomatoes by the pound! Use the scale to weigh a batch, and pop it all into a wicker basket to help your customers carry it home. 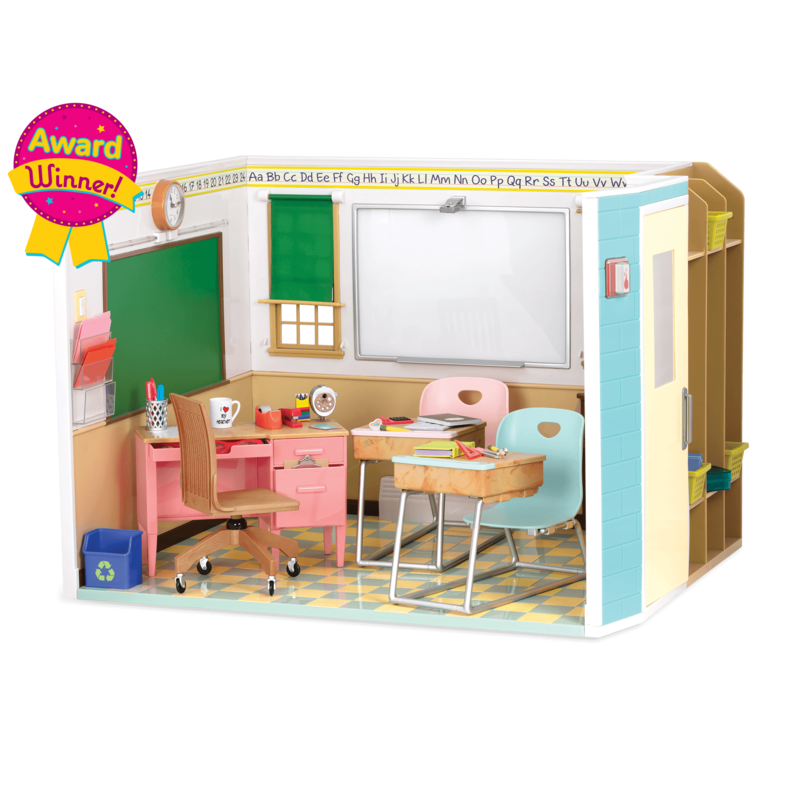 This deluxe set has 43 pieces of the freshest fun! 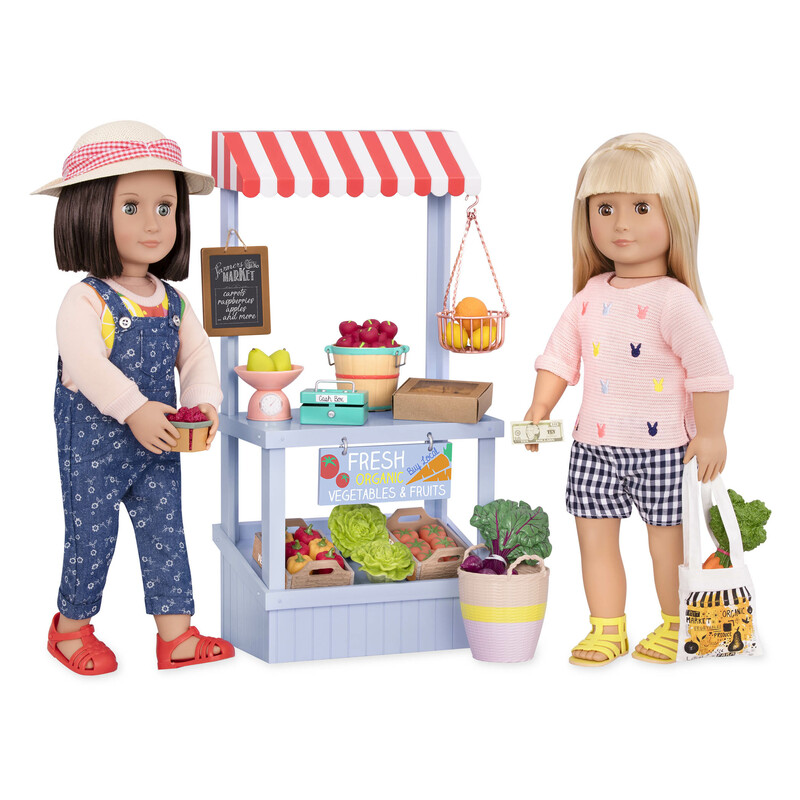 Have you met Everly, Rowan, and Suyin -the dolls in the pictures who are playing with the Farmer’s Market Set? They love sharing their harvest with you and their friends! 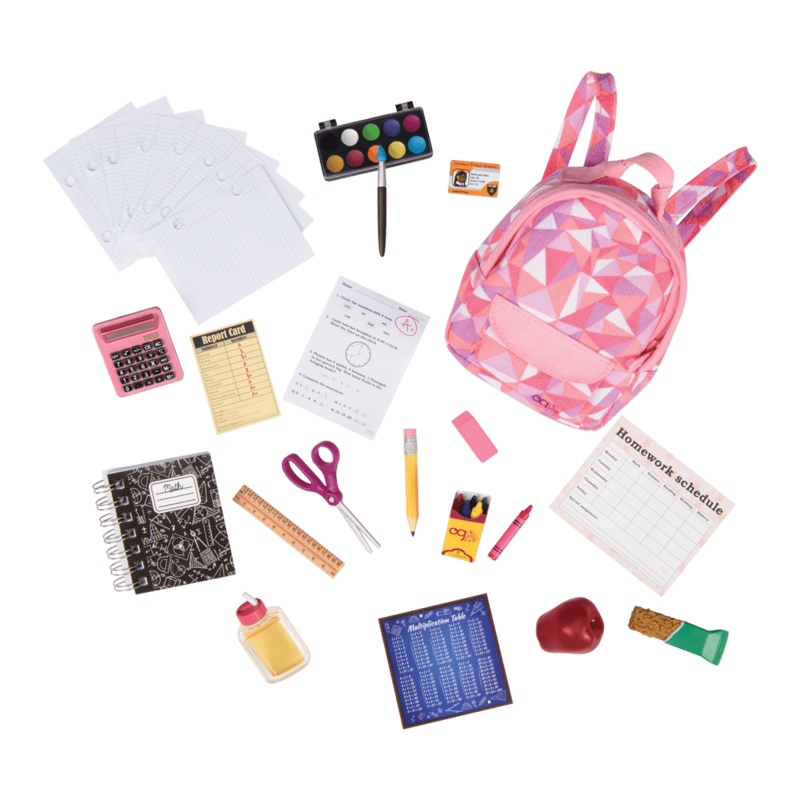 Set up your doll with a great garden of her own using the Way to Grow Garden Set, an accessory set for 18-inch dolls that has a miniature wheelbarrow, seeds, and even a garden gnome! 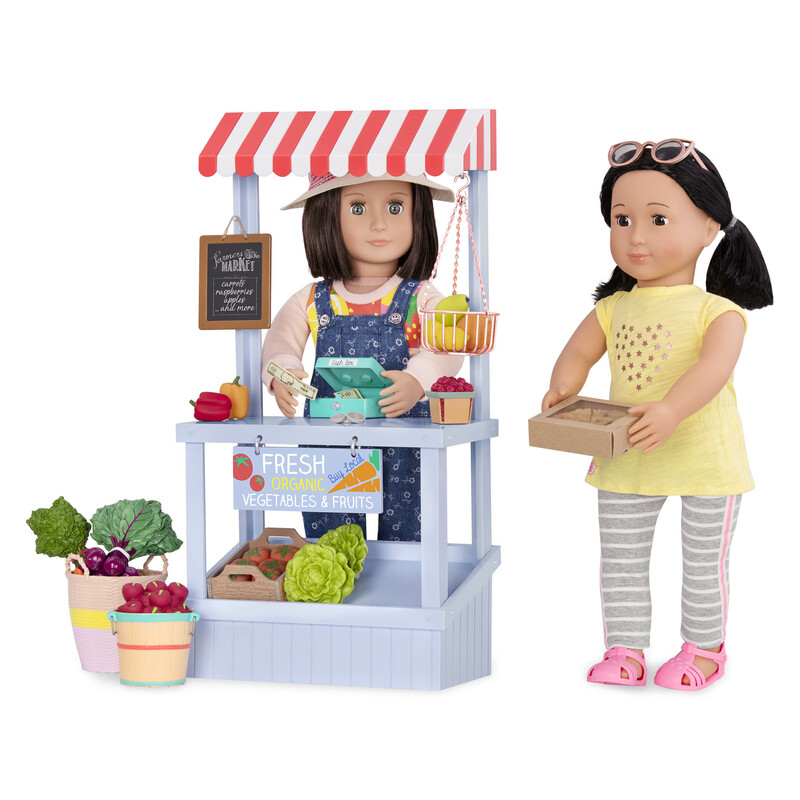 And for even more inspiration about farmer’s markets and the types of things you can grow, check out Nahla’s Read and Play Set and follow along with Nahla as she learns about growing great food and sets up a gardening project at her school! 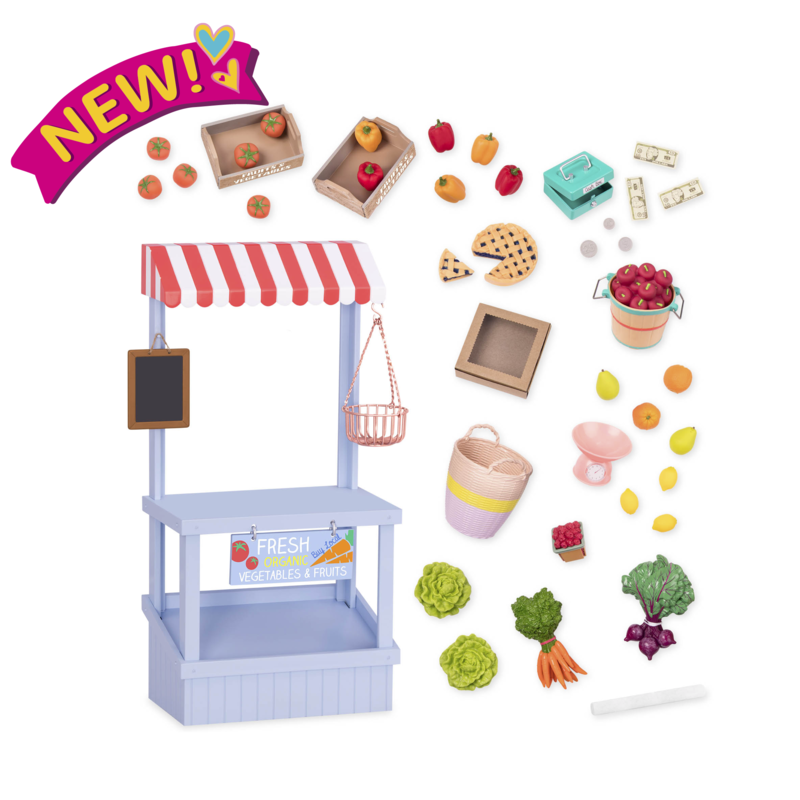 Includes market stall, chalkboard, fruits veggies, play money, and more! The dolls pictured are Everly, Suyin, and Rowan.